BLACKWOOD – Students shared pictures, art, food and dress from their homelands from as close as Mexico to as far as Lebanon at International Day on April 18 at Camden County College. Participating students stood proudly by their displays, ready to offer a taste of their culture to visitors. Displays from countries such as Jordan, Morocco and Algeria lined the Connector Atrium on the Blackwood campus. Students packed the atrium eager to learn more about their classmates. Mavis Amegah, a human services major, represented Ghana. Her poster board displayed colorful pictures of women and men dancing in traditional dress, a popular street festival called Chale Wote, and suburban homes. International Day also included performances of traditional dance and song. The atrium filled with the sounds of loud drumming, music and applause. 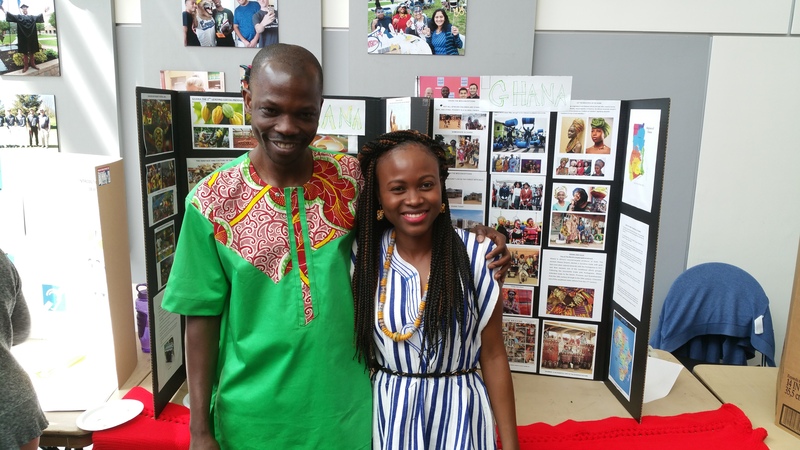 James Arvo, a journalism major from Ghana, helped organize the annual event for the second time. He said he hopes International Day will continue after he graduates.